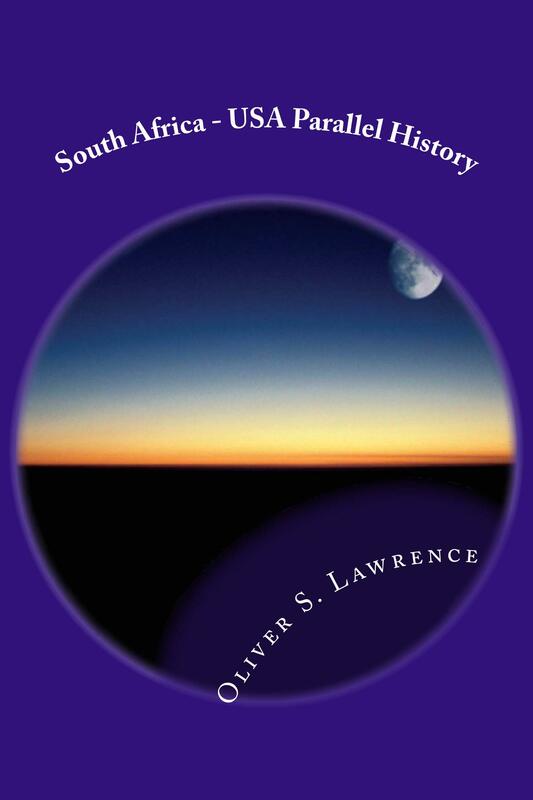 The parallel histories of South Africa and the United States are informative of world events over the last centuries. While many countries rewrite their histories to conform to social and political trends, analyzing and comparing different countries and perspectives does shine a light on one’s own. On June 7, 1892 Homer Plessy was arrested in Louisiana for travelling in a train carriage reserved for whites only. Exactly a year later to the day, on June 7, 1893 Mahatma Gandhi was thrown off a train in Pietermaritzburg, South Africa for travelling in a train carriage reserved for whites only. A number of such parallel events occurred all over the world because humans face similar problems and do come up with similar solutions. These solutions are shaped by their environment, history and available resources but do provide insightful learnings in their similarities and universal applicabilities. While history in itself may seem a boring topic, it can be exciting when it teaches the context of the event and the strategies employed by people to solve the problems posed at the time because these strategies can be used to solve problems in our times too. 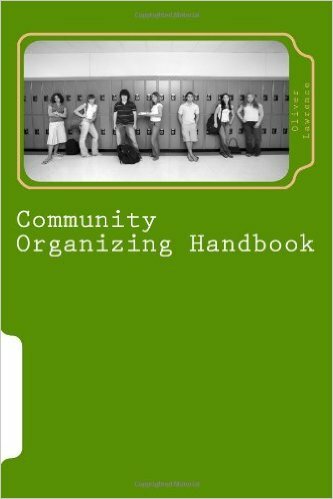 The Community Organizing Handbook is based on many years of direct community organizing experience and teaching college level courses. 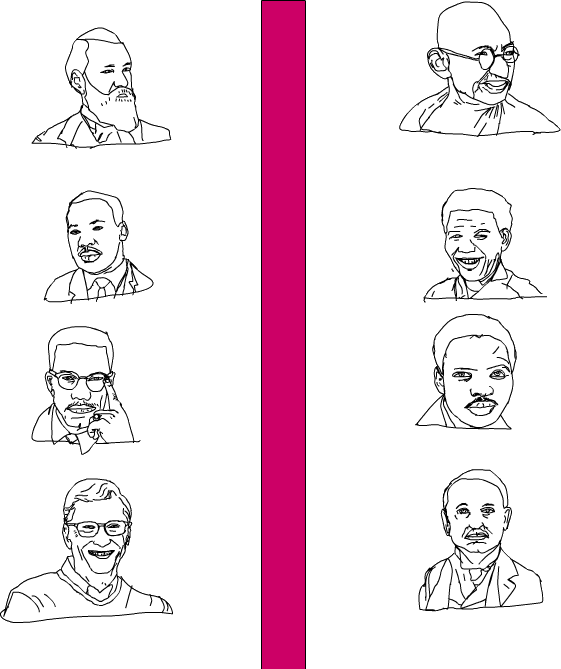 This guide has been developed to empower ordinary people, volunteers, organizers and activists. This draws on some common experiences, ideas and enables people to be better equipped to organize. This guide focuses on three issues: the organization, the people, and the sources of their power. The organizations develop from street committee to mass movement, sustainable nonprofit, and can grow to corporate standards. In the process the leadership and the policies can change the flavor of the organization itself. Some of the major pitfalls are covered to ensure that the organization stays true to a certain set of principles over time. Community organizing begins when two people discuss a common problem and can build up to when millions vote to support what is right. The fact that we need an independent set of methodologies to achieve what is right is an indictment on the current system of government and social involvement. The world is in a mess not because of the lack of will by millions to do what is right but by the deliberate denial of a process to pursue and achieve justice on the most basic issues of injustice. 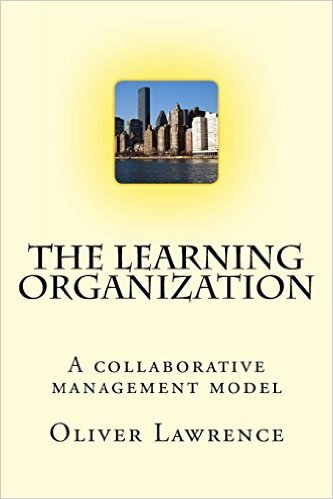 The Learning Organization is a model described by Peter Senge. Metaphors such as biological DNA can be applied to describe how every part of the organization contains the Vision of the organization. Organizations are the way humans form groups to develop tasks that are beyond the ability of an individual. Even though this book discusses corporate organizational issues they are particularly applicable to nonprofit organizational structures and therefore of interest to volunteers. Organizations that are collaborative learning institutions develop solid commitments from employees, volunteers, and the community it serves. Organizations are like organisms. Organization are alive. They are born, they live, they thrive, they grieve, they age, and sometimes they die. Some organizations have a lengthy existence that spans generations because they are of value to more than only one set of people at one time in history. Organizations are like families. They have to have a solid foundation of commitment. They have to grow in membership. They have to see some prominent members leave and then they must replenish every generation, teaching, growing, sustaining through planning. White consciousness forms the basis of racism, while indigenous consciousness provides the solution. This first volume addresses the two forms of consciousness and provides some basic concepts and definitions to apply to the strategies that combat racism. 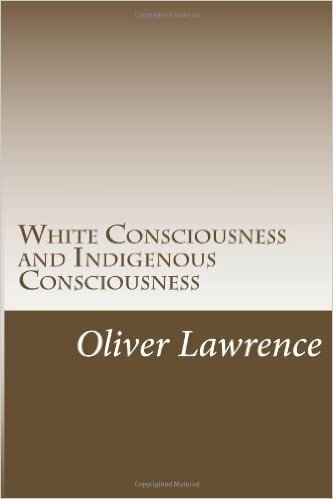 White consciousness is the Western Consciousness that has been implanted during colonial times on every continent of the world as colonial powers from Europe occupied and controlled regions of the world through government and corporations which influenced every aspect of society from religion to the arts. Even science is a western consciousness development even though it relies on ancient traditions. The information was disseminated and filtered through a certain consciousness lens and was presented from a certain consciousness perspective. Indigenous Consciousness is the consciousness that is shared by humanity over hundreds of thousands of years. While each continent may have developed different societies and traditions they had much in common. This may be attributable to humans' common ancestry or to humans' common adaptability to solving problems in the environment they live. Every human had to find food and water and every human society that survives to this day is based on an ancient society that solved the problems of regular sustenance, shelter, and survival. Time in Cherokee contains clock face times for learning to tell time in Cherokee. Telling regular time in Cherokee provides opportunities to utilize the Cherokee language on a daily and a continuing basis. It requires mastery of a variety of concepts and also solidifies using the numbers in Cherokee. There are repetitive patterns but they are so varied that there are many new options to learn and to practice. Having this handy reference available will facilitate your Cherokee language learning. 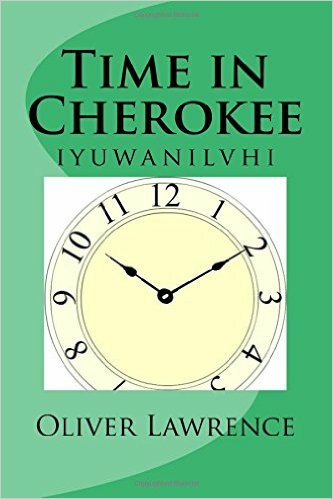 Time in Cherokee is provided in Sequoyah Syllabary, phonetic notation, and in English. 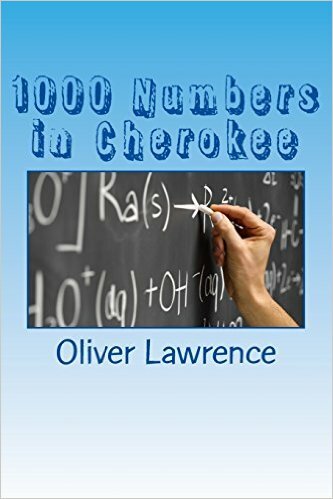 1000 Numbers in Cherokee: A Starter Language Word List is a first reader to teach the words for numbers in the Cherokee language. Each number from 1 to 1000 is provided in English, Phonetics, and Syllabary. This book is part of a series to simplify the process of learning. These are designed as supplemental reading materials that are so necessary for learning to read and write. 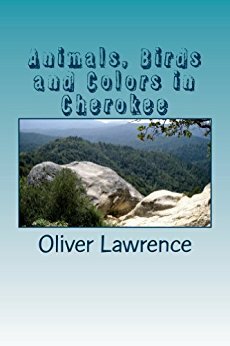 Animals, Birds and Colors in Cherokee: A starter language word list This book is a first reader to teach the words for animals, birds, and colors in the Cherokee language. Each word is provided in English, Phonetics, and Syllabary. This book is part of a series to simplify the process of learning. These are designed as supplemental reading materials that are so necessary for learning to read and write. I provide dissertation review for Ph.D. candidates. Every dissertation requires a proofreader for grammar and APA style formatting. In addition I provide analysis of methodology and statistics. Learn the Cherokee Language while playing cards. A great tool for adults and children to learn together or for the classroom setting. This is a special set of cards created with the Cherokee language in mind. It has a set of Wolf, Bear and Eagle in place of Jack, Queen and King. Each card has a Cherokee name for the card too. 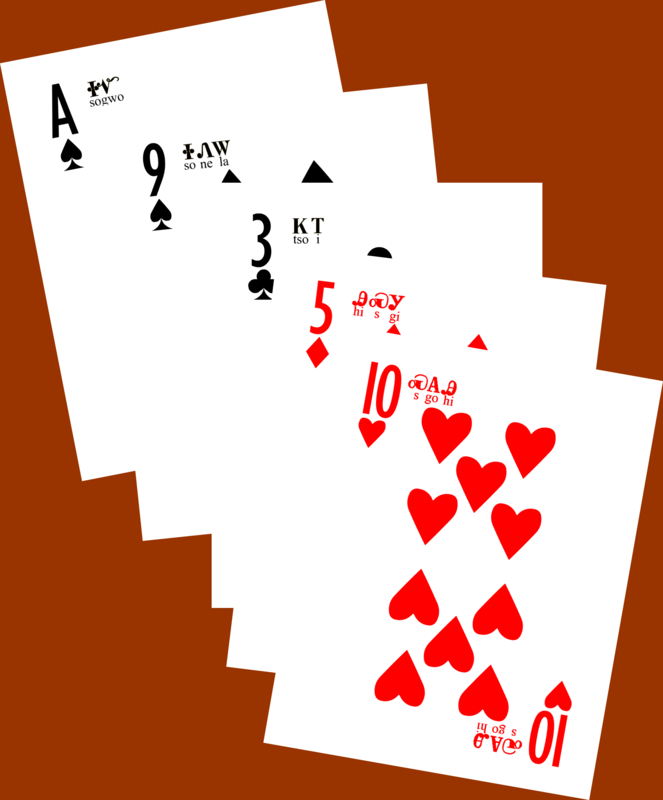 So players can learn to ask for or show cards using the Cherokee language. This is a nonthreatening way for repetition and using Cherokee pronunciation of certain words which can be expanded with language cards that are also available. Please email for the full set of Cherokee Language card sets available.